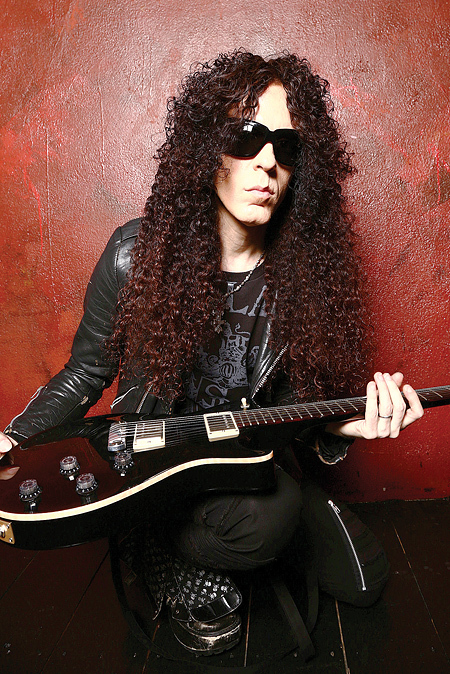 As he gears up for a co-headlining tour with Ozzy Osbourne guitarist Gus G., Marty Friedman has 13 solo albums of his own material to pick through. He’s going on the road in support of his latest album, Inferno. The album includes guest appearances by Alexi Laiho, Danko Jones, Rodrigo Y Gabriela, and Jason Becker, and offers the most uncompromising music of his career. Inferno sounds like maximum-strength Friedman… with no artificial additives. Definitely. A lot of factors go into the kind of record you’re making. As an artist, you try to ignore everything and just make the best album you can. Some of those factors – like record-label recommendations or your manager telling you to be more like this or that – tend to creep in. I’ve been lucky that they haven’t crept in so terribly much in my career, but this time I was like, “F**k everybody!” On this record, I am not listening to anyone, and I’m not doing anything that I’m not completely in love with. For better or worse, it’s really pretty much my bag right there. When you were in the writing stage, did you know you were going to have guests on the record? I knew that I wanted to have some cool guests on the record, but I didn’t want it to be the typical thing where a guest comes in and just plays a solo on a song. That has been done to death, and I’ve done it, too. This album was all about breaking those kinds of typical things. I wanted a commitment. I wanted to work on a song together so it really was like we’re in a band together – our band for that one song. I wanted to make something we both have an investment in. I wrote the songs with the actual guest; a lot of time, it’s their song. I just rearranged it, produced it, and played my guitars on it. It’s like a complete band rather than a guest performance. For me, it was the best decision I ever made. I wanted something deeper, and I got it. How did you go about getting Rodrigo Y Gabriella to guest? The idea was to have guests who were influenced by me in some way, and they’ve mentioned my influence several times in the press. I hadn’t met them, but the record company suggested I go see them play in Tokyo. So, I met them and they were absolutely the sweetest people. They were the first to immediately jump on and do the record. I became a fan of theirs that night. Regardless of how popular a player is or how well they’re doing, there’s something about playing on someone’s album whom you respect as a fan. You get this kind of excitement. What went into getting Jason Becker? It was exactly how we used to write in Cacophony. I’d have the basic outline of an entire song and take a bunch of his ideas and stick them in where I thought they would go nicely. The only difference is he wasn’t able to play the stuff he wrote. I had Ewan Dobson play the role of Jason on the acoustic parts, and he just tore it up. He was mind-boggling in capturing Jason’s spirit. It was like Jason was in the room. Danko Jones does an awesome job on vocals. If Danko and I were in the same band, that’s exactly what we would sound like. Inferno has more ripping on it than any of my albums before, but Danko and I in the same band would be the coolest thing. When he got onboard, I was very excited. I love my playing in a band context. Being a solo artist, you’re in the front all the time. It’s a little bit awkward for a guitarist to be the front man. 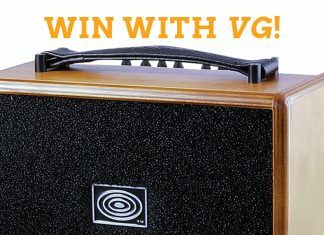 It takes a lot of ego, and patience from the listener; I can’t really listen to guitar in the front all the time – it sounds so much better after a vocal in a lot of cases. I really wanted to have that vocal stuff to play off of, and a band context for a lot of the record.